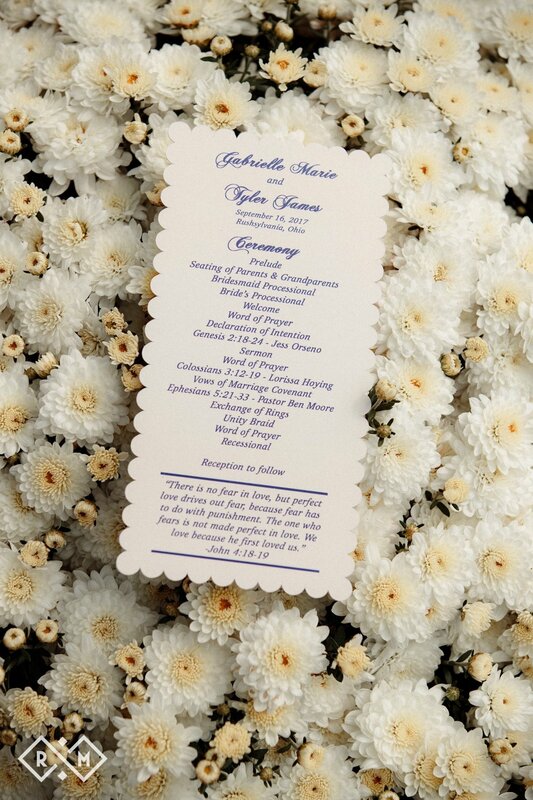 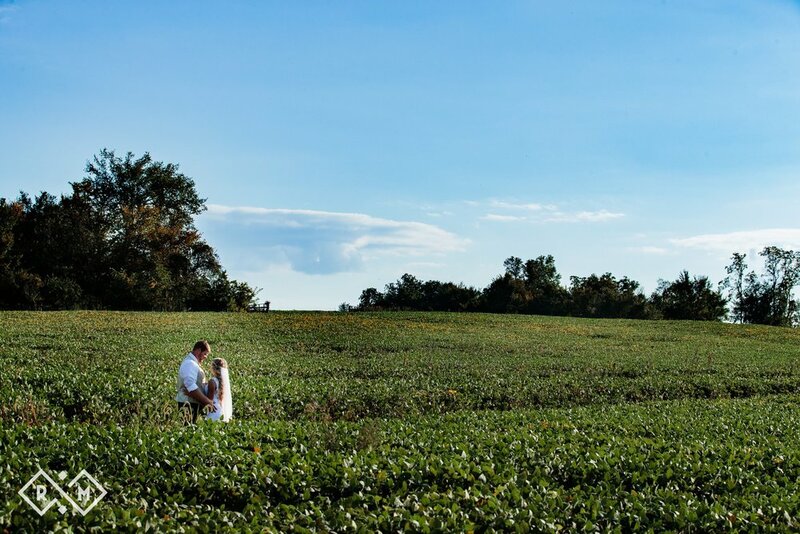 Gabby and Tyler's country wedding was held at the groom's family home in Rushsylvania, Ohio. 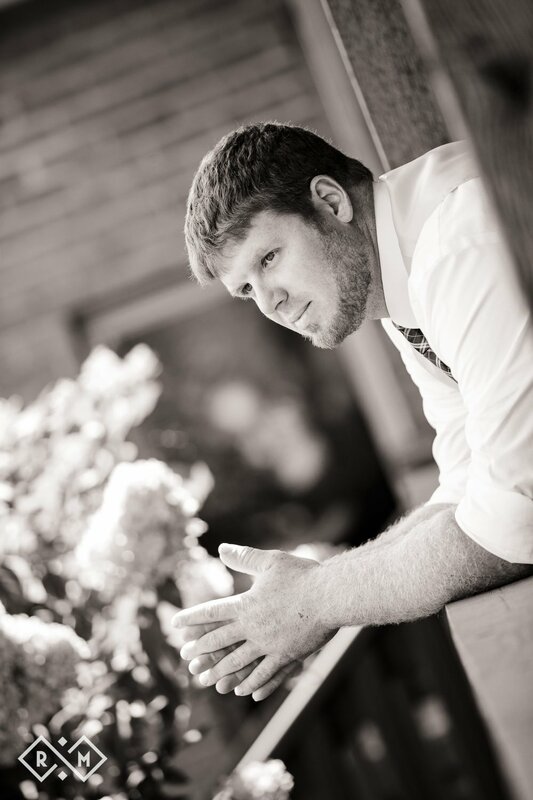 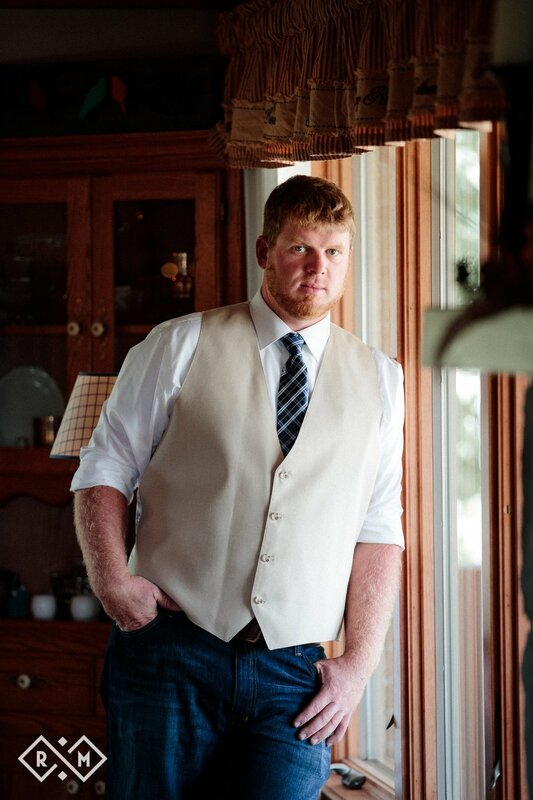 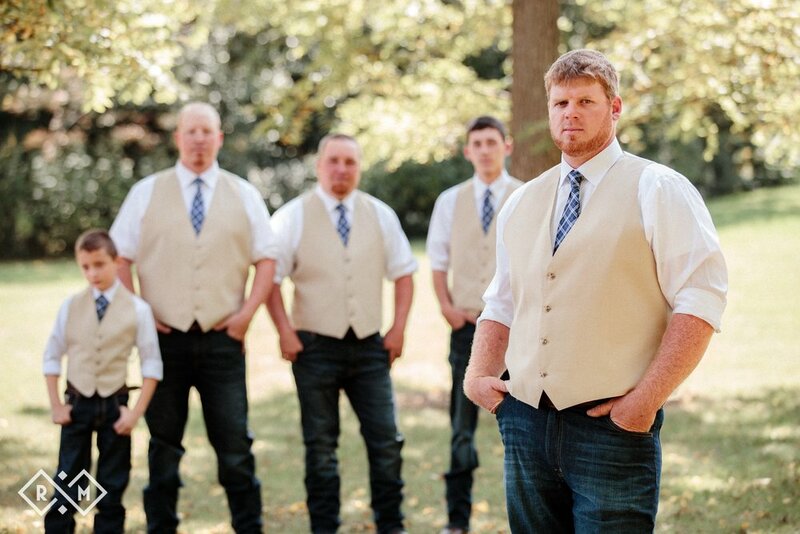 Tyler comes from a family of arborists, who have built an estate on acres of farmland over many decades. 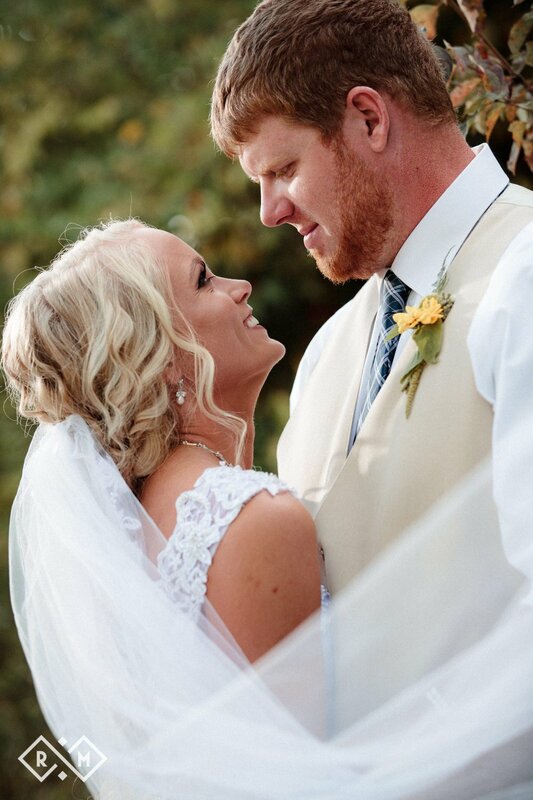 The bride and groom were comfortable at the home turned wedding venue and enjoyed every second of their day surrounded by family and friends. 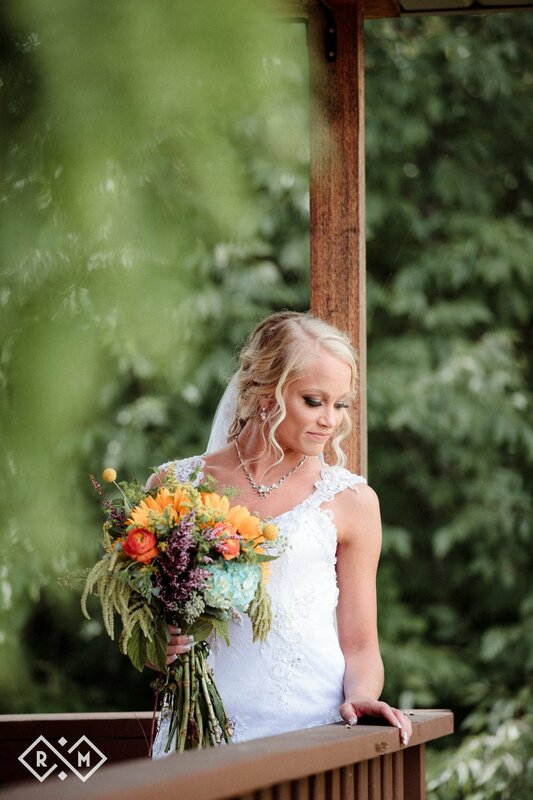 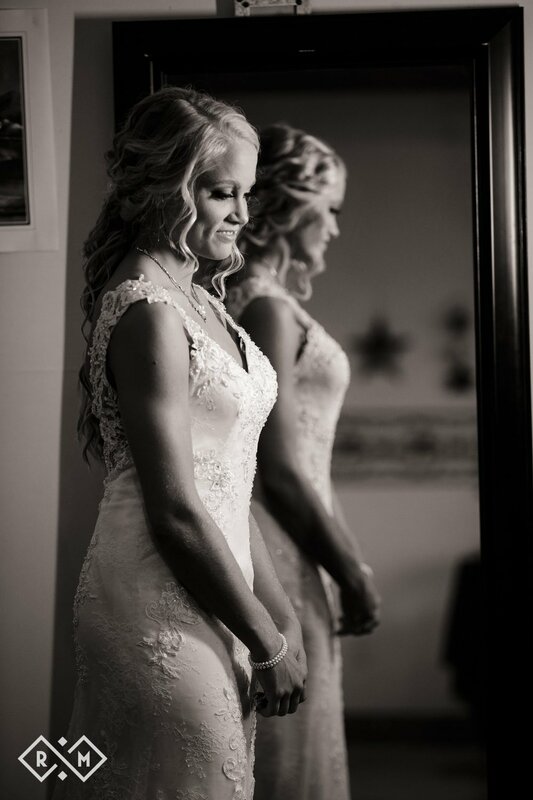 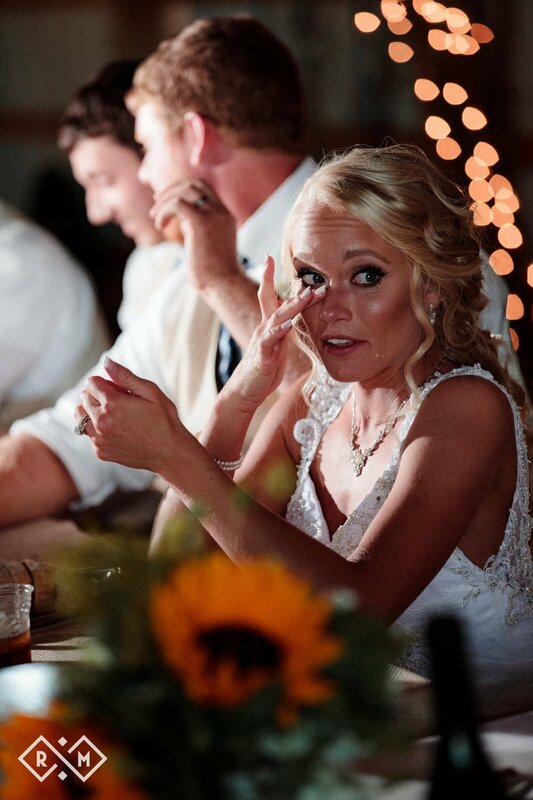 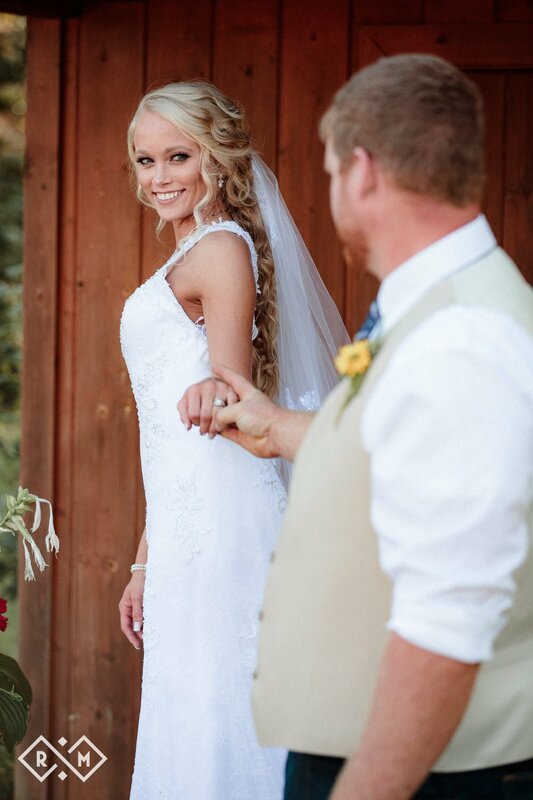 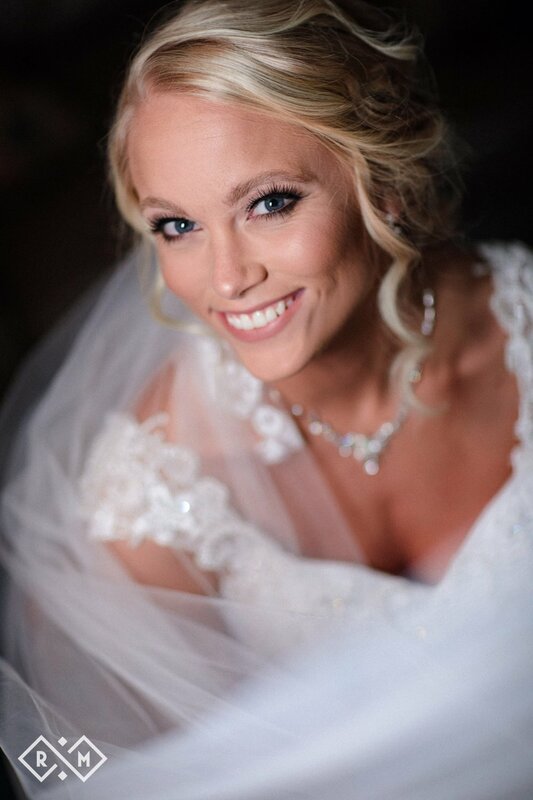 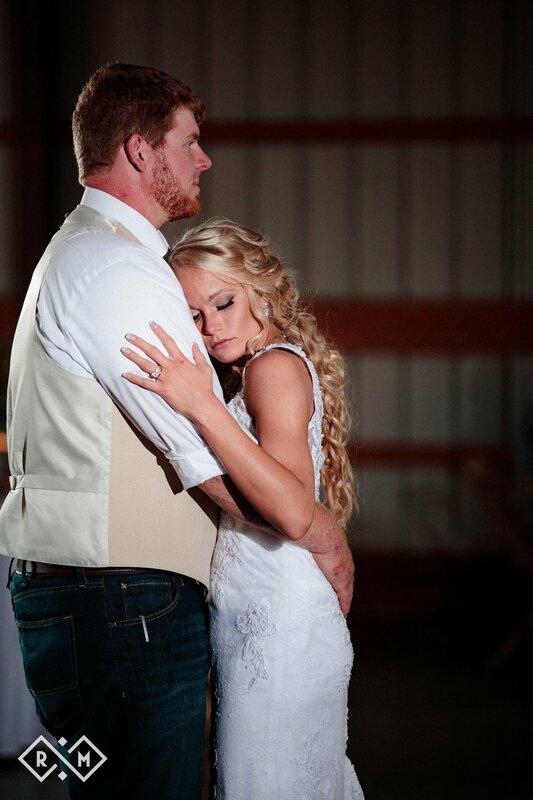 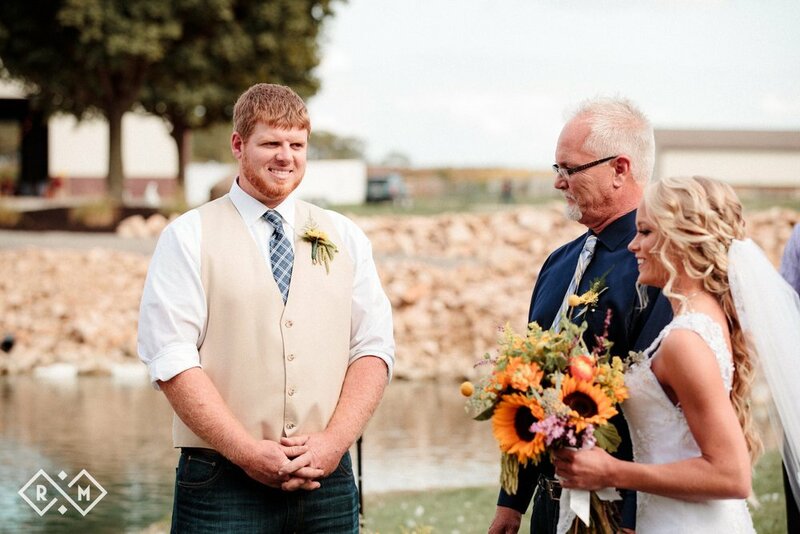 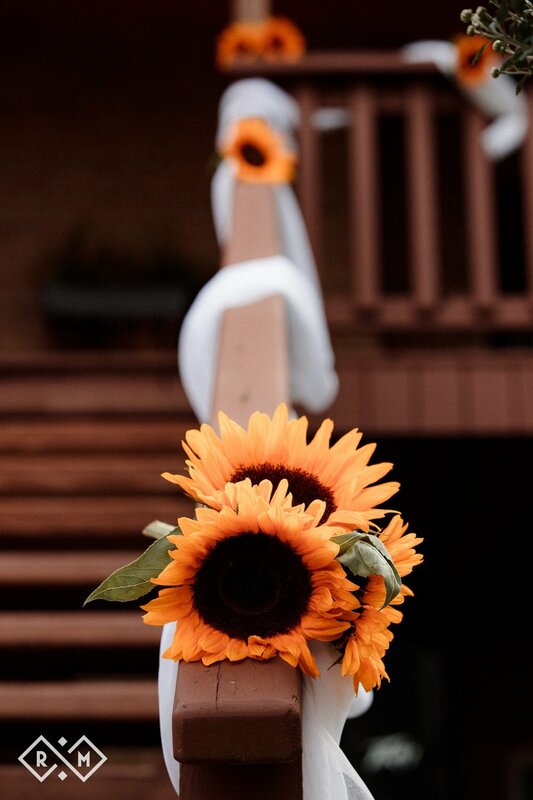 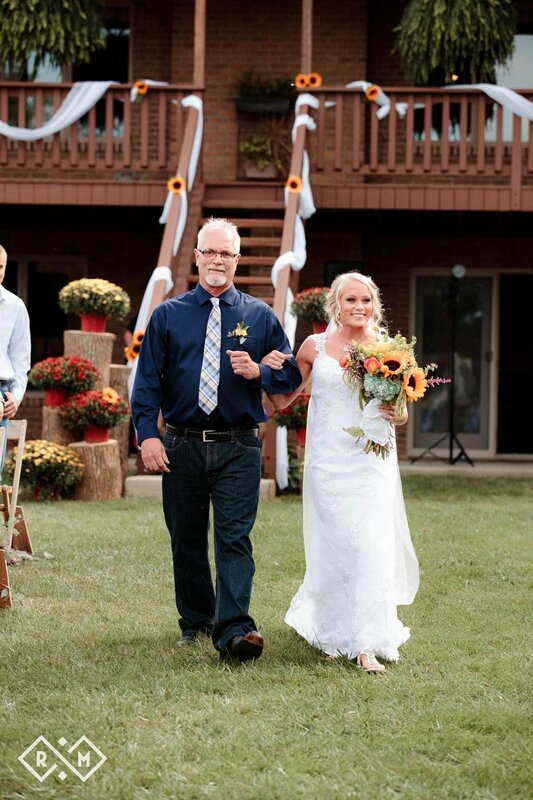 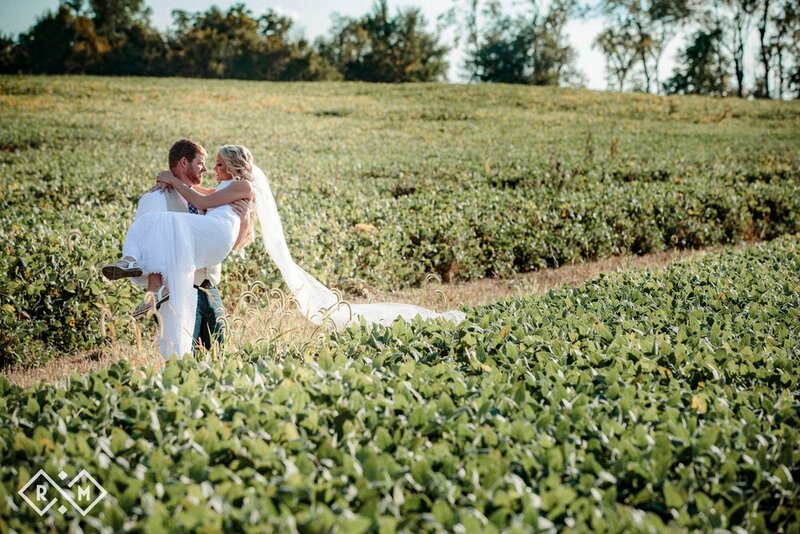 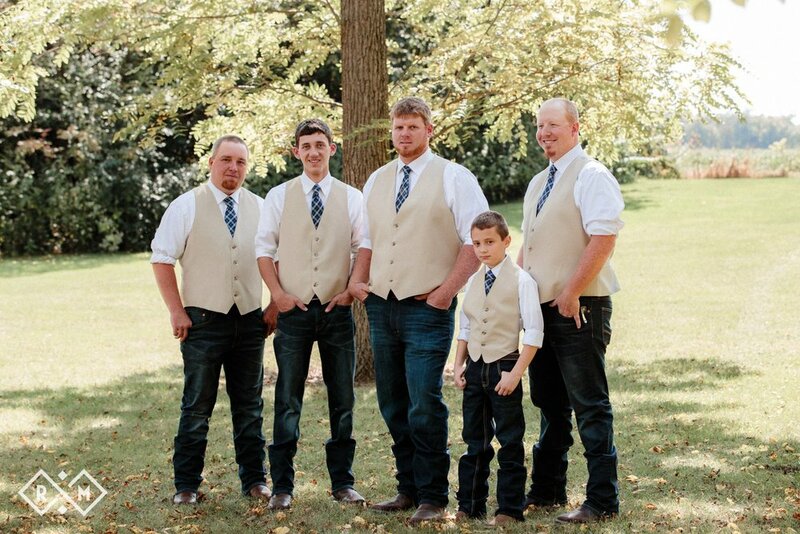 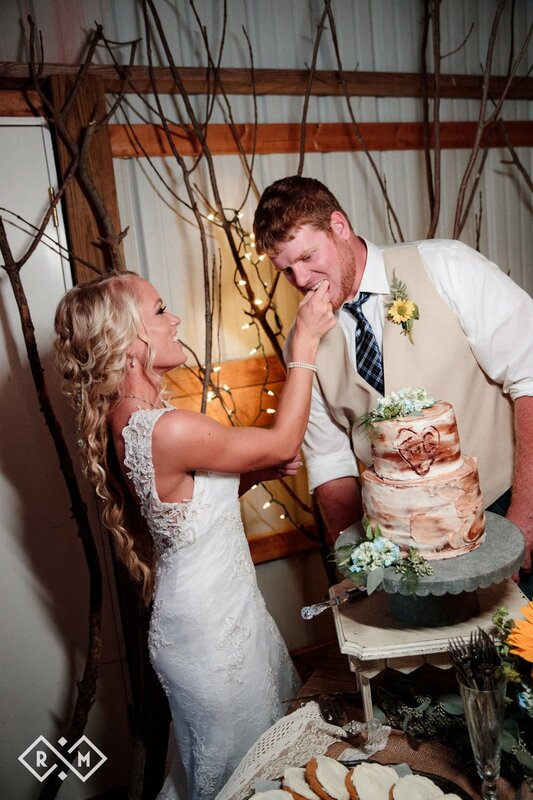 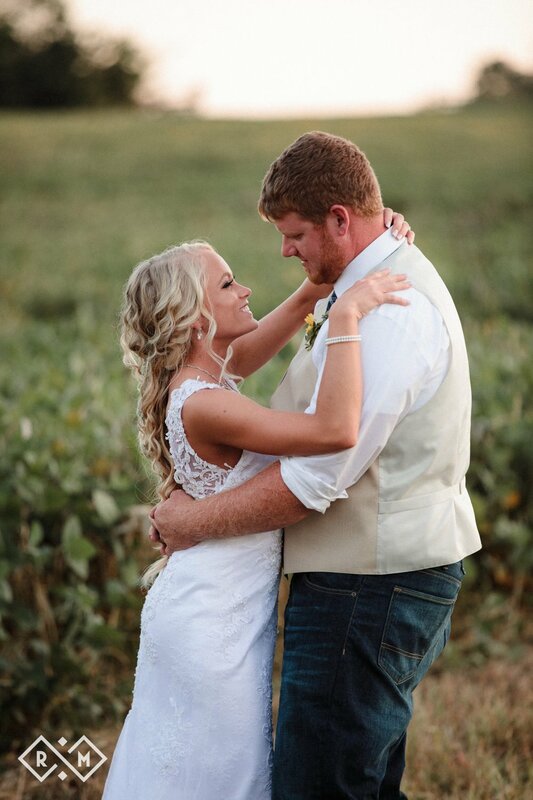 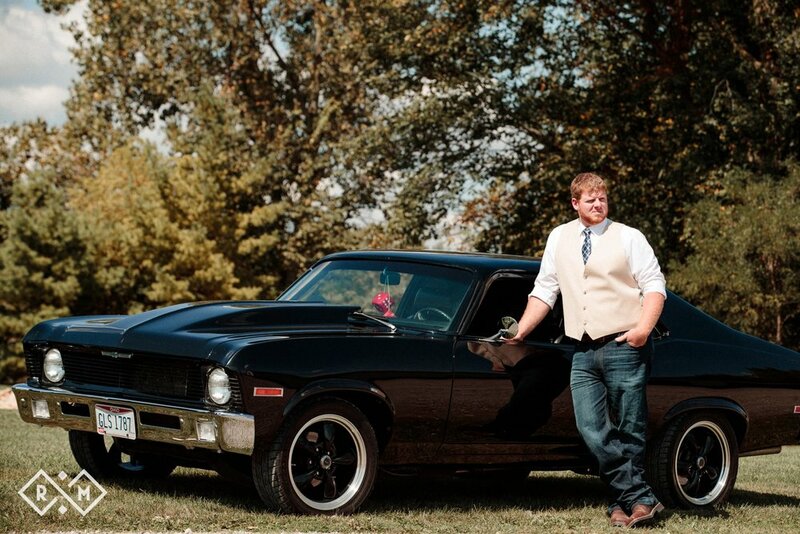 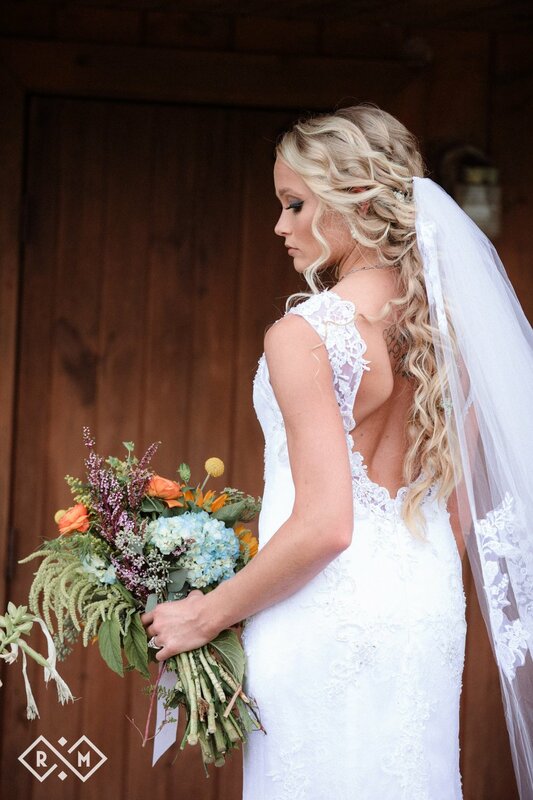 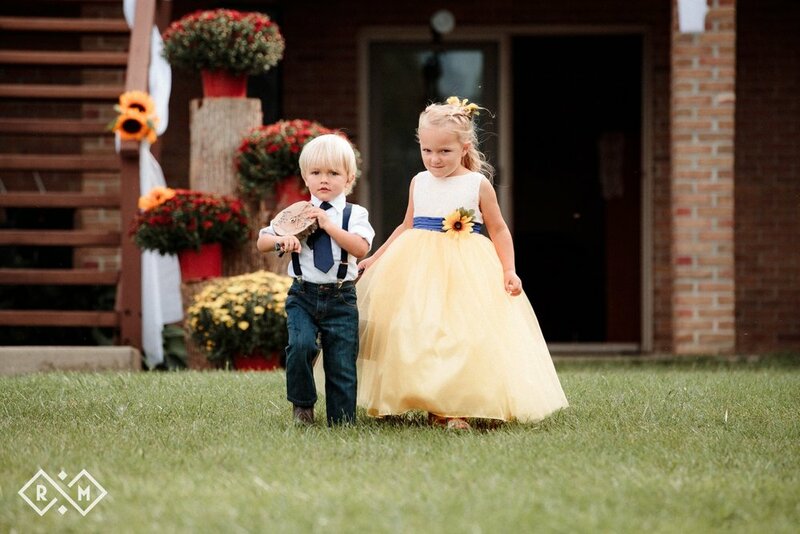 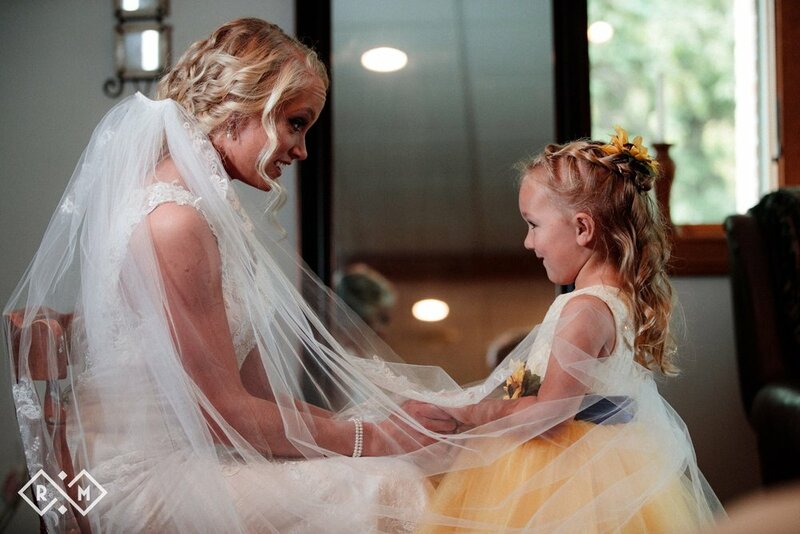 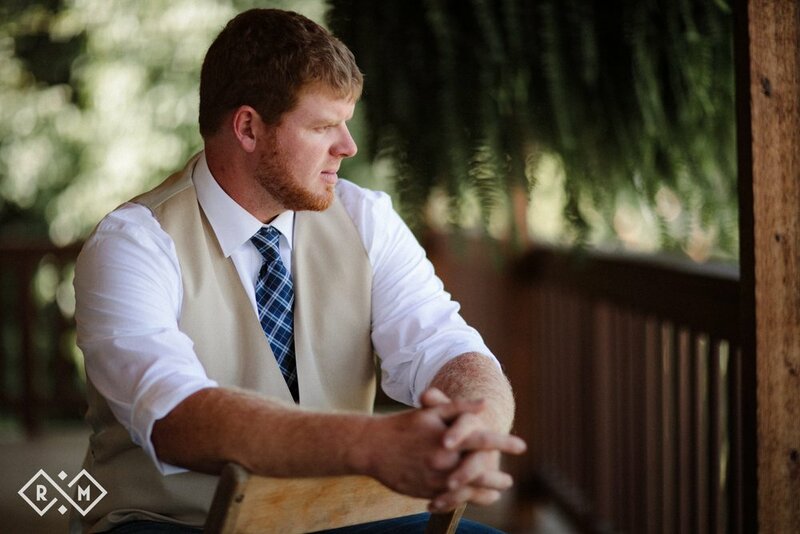 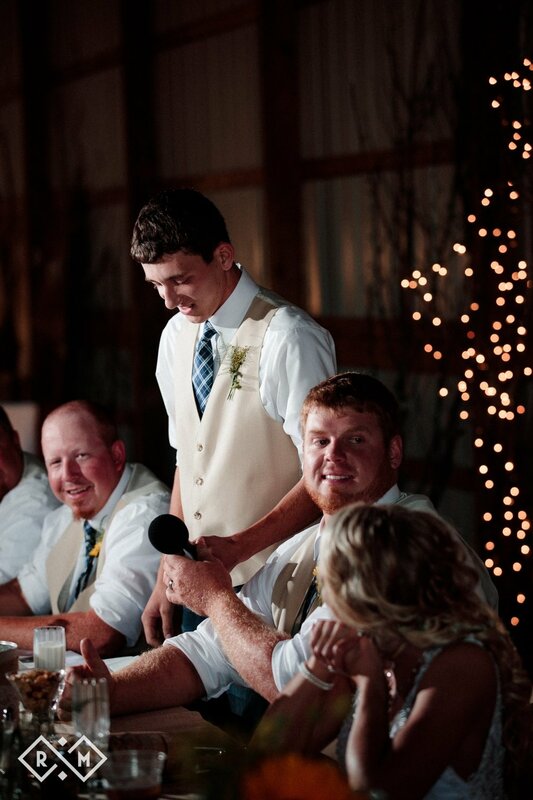 He and Gabby's wedding exemplified country charm. 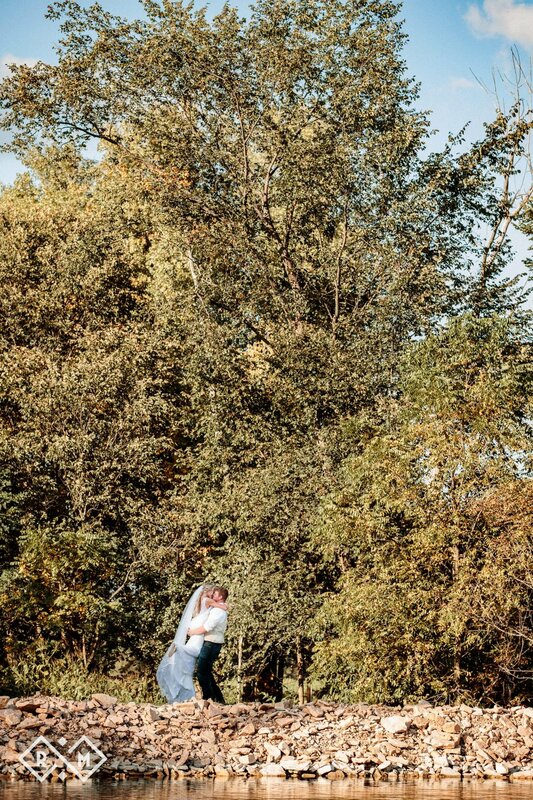 They were married in front of the man-made pond that was shimmering under the sunlight during the entire ceremony. 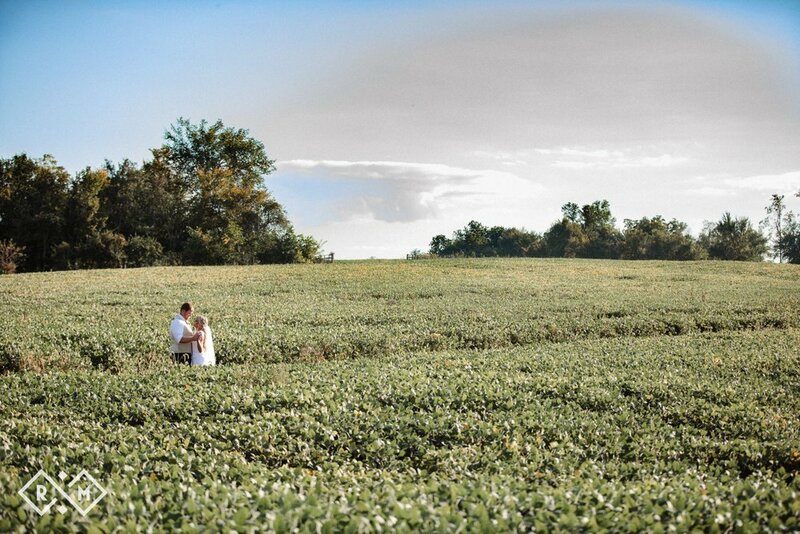 After they said their "I do's," we ventured throughout the land for some amazing photo-ops. 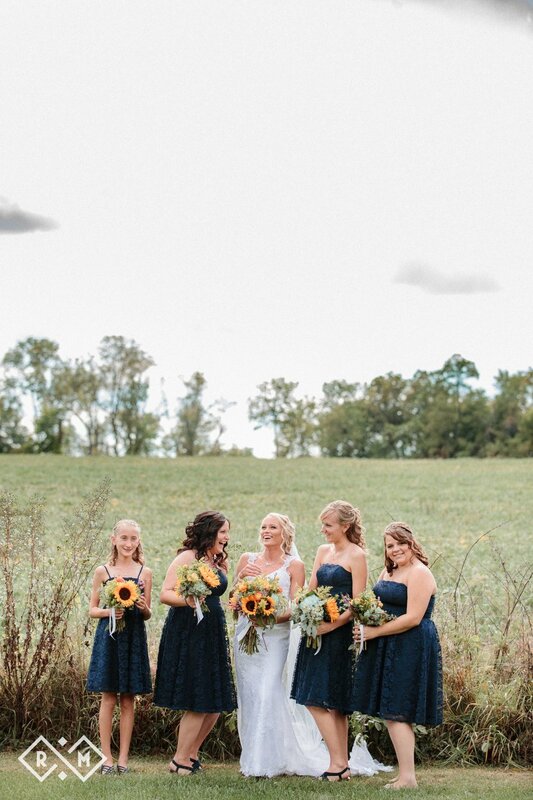 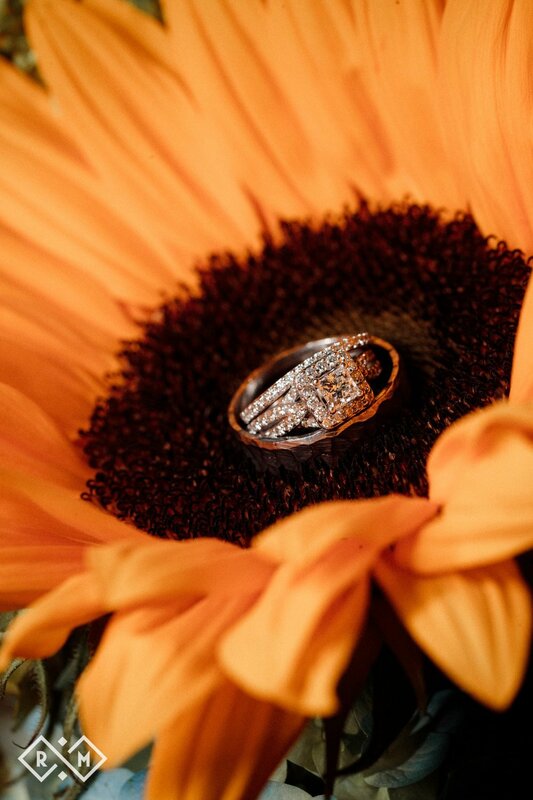 From the open cornfields to the fields of wildflowers, it was not difficult to find gorgeous scenery to capture this special couple. 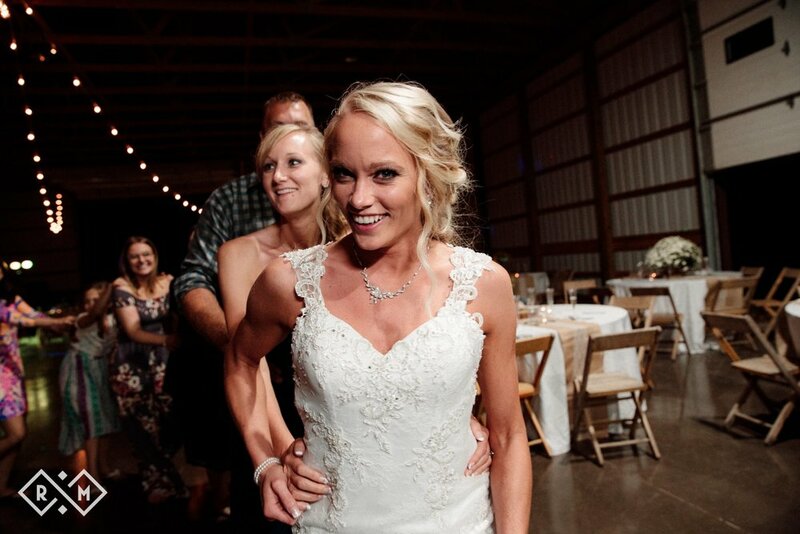 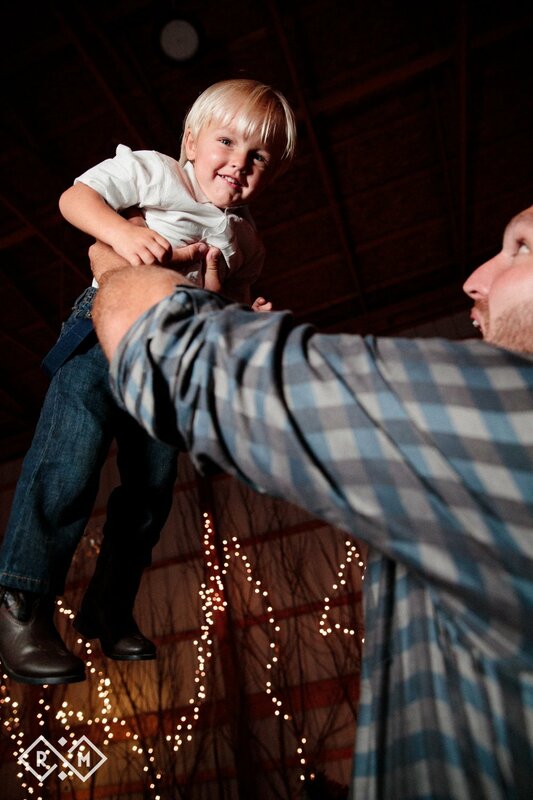 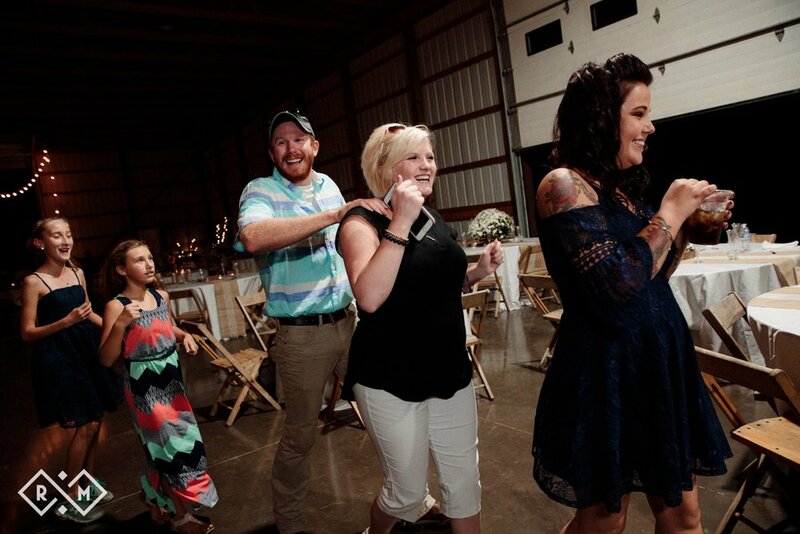 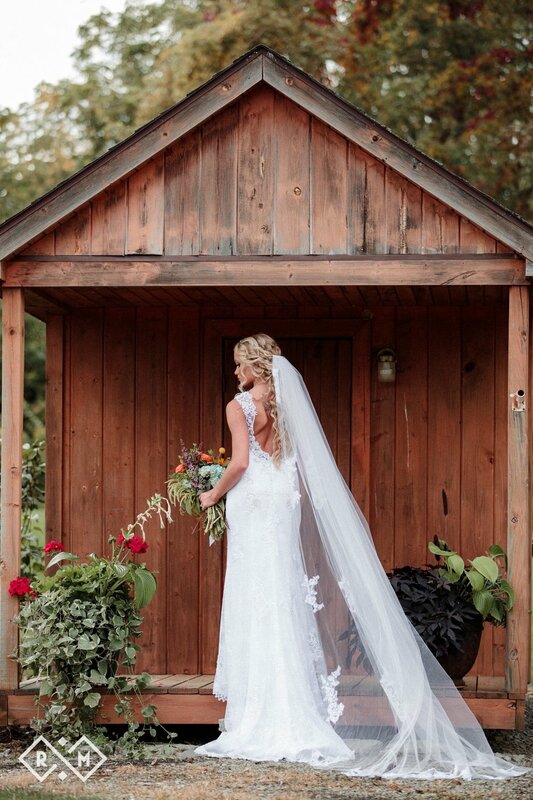 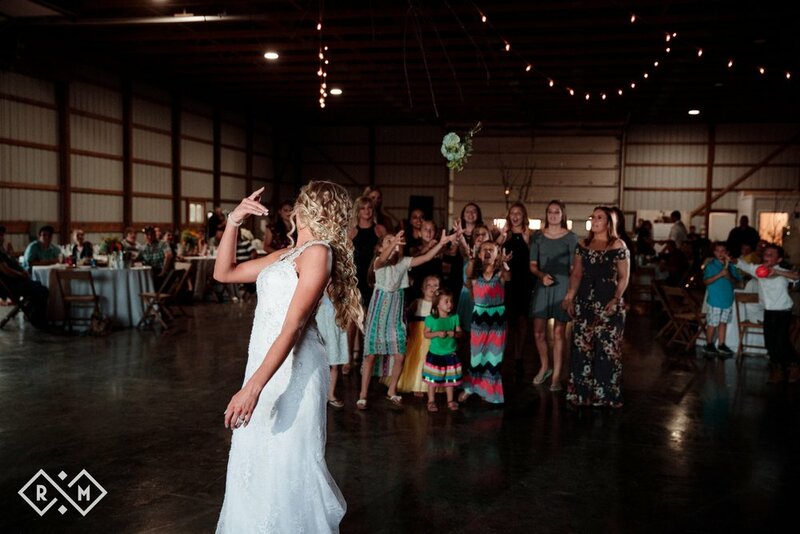 The reception was held in a barn on the property that offered the perfect laid-back ambiance for the evening. 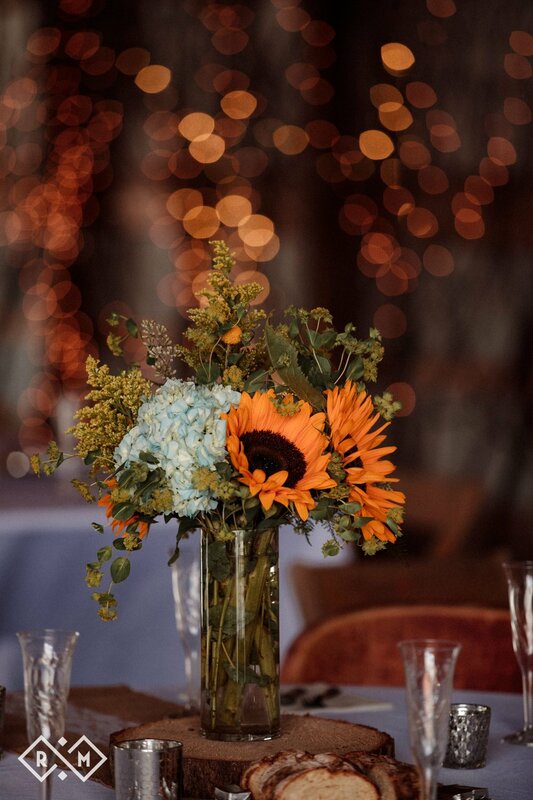 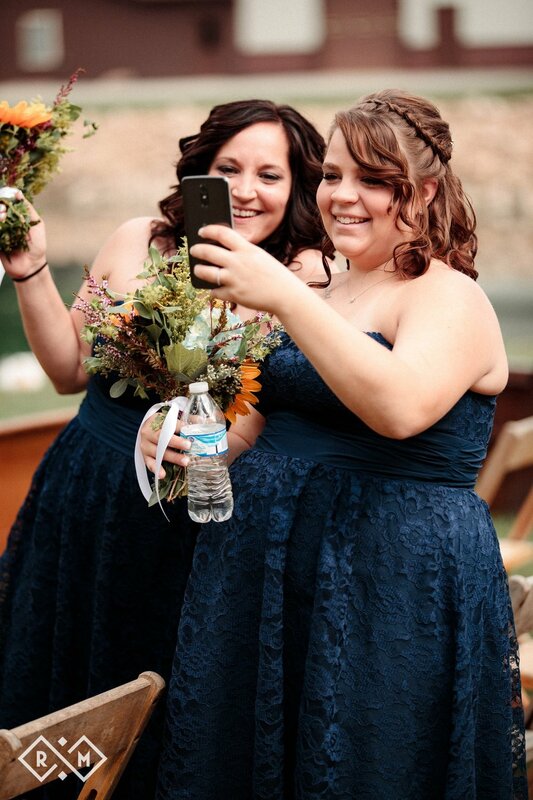 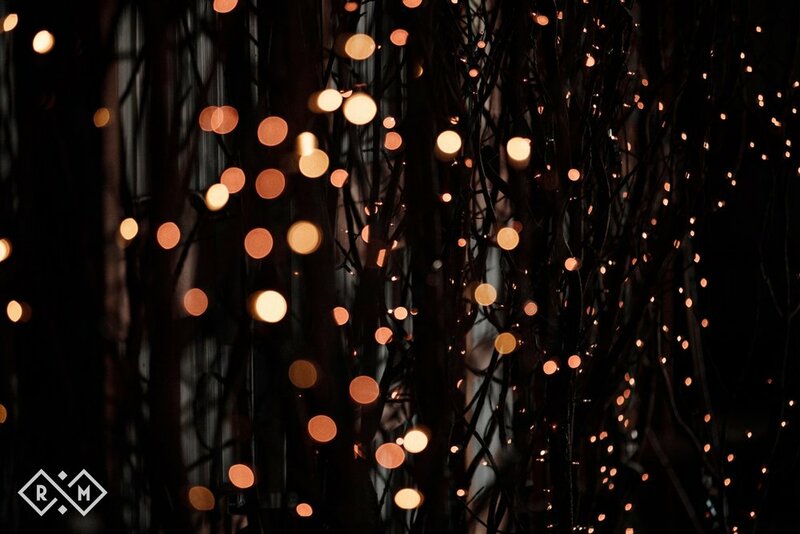 The barn was lit up with twinkling Christmas lights and the rustic floral arrangements of blue and yellow stood out against the wooden walls. 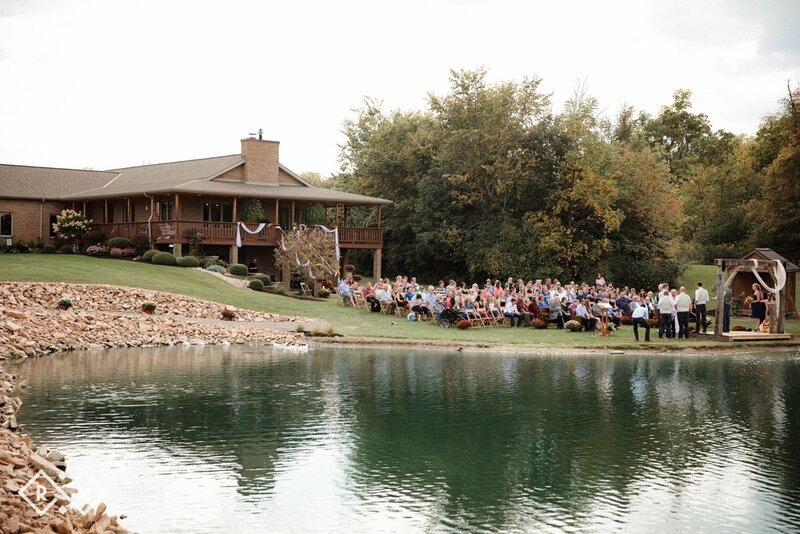 This reception was an intimate event that brought family and friends together to a familiar place, special to everyone there.